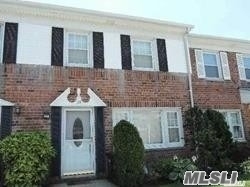 Immaculate Condo In Convenient Location With Desirable Oceanside Schools Ready For Its Next Owners. Spacious 3 Bedroom W/ 1.5 Baths, Eik, Living Room / Dining Room & Full Finished Basement With Separate Entrance To A Nice Patio. Comes With Parking Space. Near Lirr, Shopping, & South Nassau Hospital.